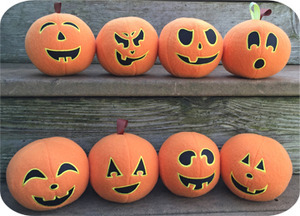 Fall is in the air and we've turned our popular snowman snowballs into pumpkins this year. Finished, the pumpkins measure about 4" high x 14" around depending on how firm you stuff them. 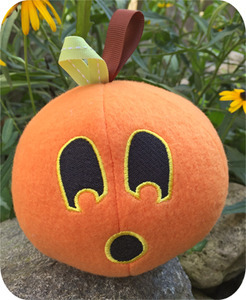 The pumpkins (actual spheres) are stitched together using a sewing machine. They're made using 6 panels. A printable pattern is included. Our pumpkins turn out nice and round. 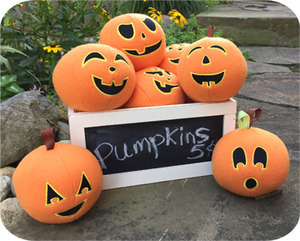 The pumpkins are easy to make with our included pattern. 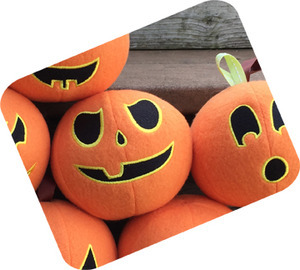 You can have an indoor 'Punkin' Chunkin' contest. They're made from fleece so they're soft and safe. They are machine washable too.